Parallel compression refers to the technique of duplicating a signal, compressing the copied signal, and then blending it back in with the uncompressed signal. Some compressors also have a ‘mix’ knob where you can blend the compressed and uncompressed signals. The benefits of parallel compression are manyfold, though there are a few pitfalls. Setting up a parallel compression chain can be daunting. Compression on its own can be a bit complex for those who are just getting the swing of things. Parallel compression complicates this by coupling all the versatility of regular compression with treating a signal in extremes. The parallel signal isn’t necessarily going to sound good on it’s own, so how do you know when you’ve compressed it correctly? Well — it isn’t so tough if you can find your center — which in all cases of mixing is: what are you trying to accomplish? If you know what you want to hear, you’ll know whether or not you’ve set up the chain correctly. To get a very “forward” sounding compression. To highlight and bring out a specific tone in the signal. One way to set up an effective parallel compression chain is to use very heavy settings. Turn the threshold down almost all the way (or turn the ‘input’ up a lot). The idea is to find that spot where the very edge of the signal’s sustain is where the compressor starts to release. Set the attack as fast as possible. 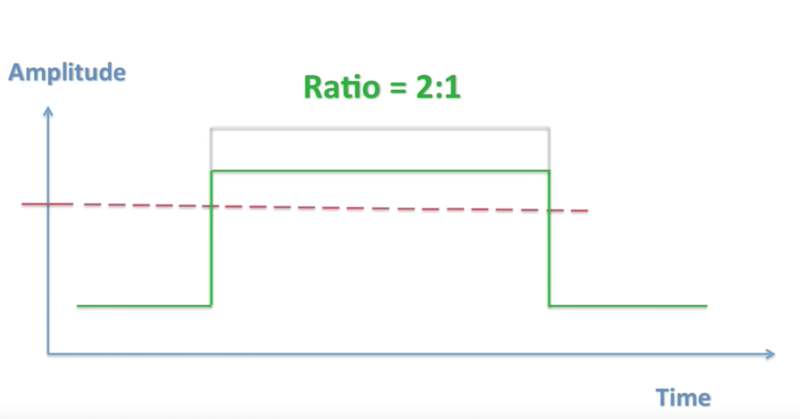 Think of the ratio as texture control, with higher ratios creating more of a crunchy/distorted sound. A 2:1 setting will be a bit more “natural” but still extreme at such a low threshold. Any higher ratios will start pushing in some heavy pump and eventually some chompy distortion (which could be a good or bad thing). For the in-your-face clean sound, 2:1 is a good place to start. Even lighter ratios will still be dramatically effective. I find the release works best when it’s pretty slow. The amount of reduction should be most minimal at the very edge of the sustain of your signal, but the release needs to be set slow enough so that you don’t bring up the room tone or create a wooshing noise. Unless you want to highlight the “air” — but I’ll get to that next. When you blend the compressed signal back in, you’ll get a natural sounding compression curve that seems to beef the sustain of the signal a little better than regular compression, resulting in a more “forward” sound. This is probably the most useful way to utilize parallel compression — and unsurprisingly the one I hear about the least. You can use parallel compression like a phase-free EQ! If you use a compressor with an external sidechain, or adjustable sidechain, you can feed the sidechain with an EQ’d version of the source sound. If you EQ out the part of the signal you want to enhance, the compressor will only be acting on the opposite frequencies. In other words, if you want to bring out the low end of a kick drum, put a high-pass filter on a mult of the kick feeding the sidechain. The compressor will dodge the low end of the signal. When blended back in, it’s as if you EQ’d up the low end, but without the artifacts. In addition, there are no rules against EQ’ing the parallel signal post-compression to bring out a certain tone, or doing anything else to it for that matter. 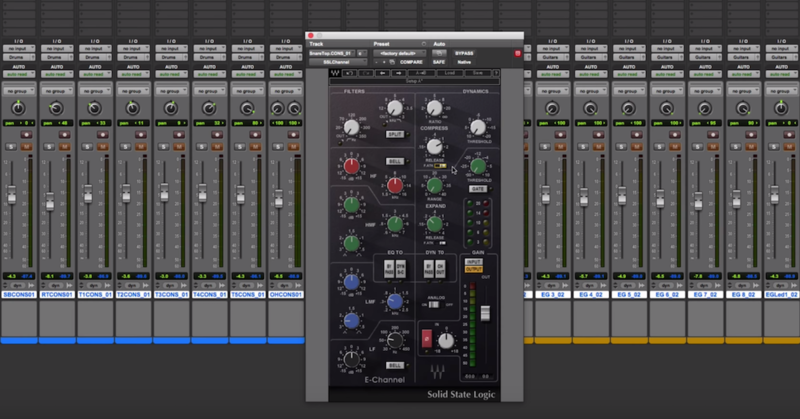 For a deeper look at compression, check out Mixing with Compression.